I saw on your blog that you are asking for African themed meals. I used to live in Cameroon, and whilst I don't cook many Cameroonian meals, I thought I would share a few of my favorites. 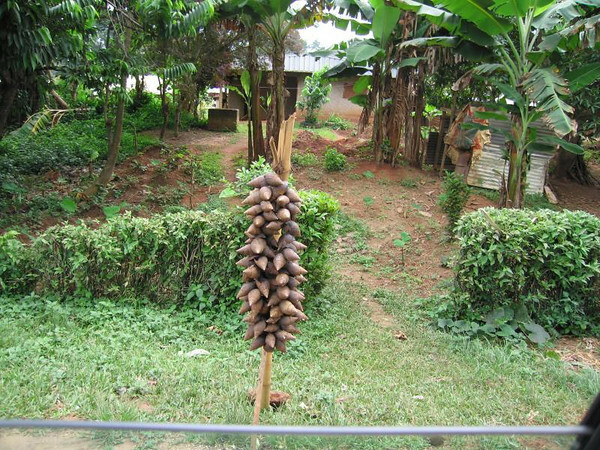 Perhaps you'll try these, or similar meals, in Malawi. Poulet DG: a chicken dish with lots of veggies, notably plantain. 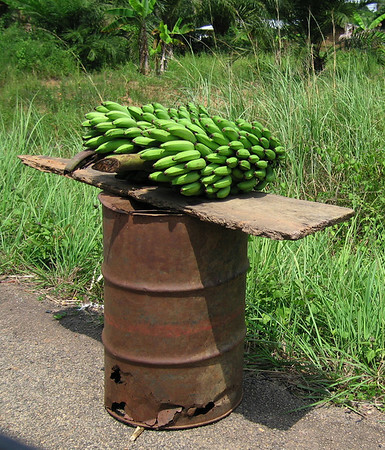 'DG' stands for 'directeur générale' since the dish used to be expensive so that only the well off could afford it. Fried plantain: scrumptious. Not terrifically healthy, but scrumptious. Fufu and ndoleh: Manioc boiled and pounded into a paste like dish (fufu) and bitter leaf (ndolé) pounded until the bitterness is gone and mixed with groundnuts and meat/prawns if affordable (ndoleh). The cats I had in Cameroon were named Fufu and Ndoleh. All the best for your trip to Malawi; I hope you love the smell of African air the way I do. Nice to meet you everybody, the name's Jess! I come from a small West Midlands Village in England and I'm in year 10 (I think that means grade 9 in the USA). I think my high school is considered small compare to others, we have about 120 students in each year and we have years 7-11. My canteen doesn't have set meals like VEG, we have are fingerprints taken at the beginning of the year, and using these machines around the school we put money on our accounts so when we queue up to choose our food all we need to do is swipe our fingerprints near the till. 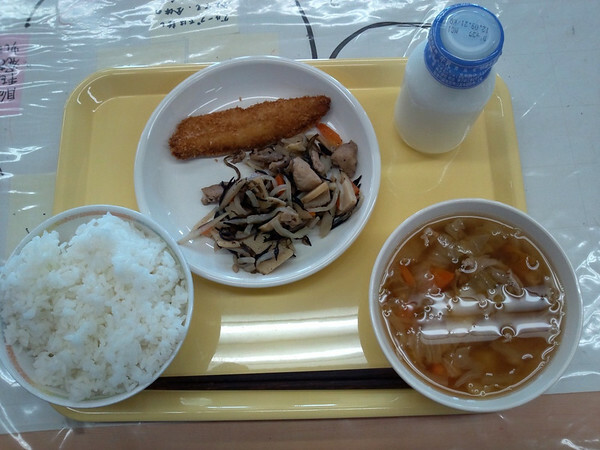 My canteen doesn't have much of a variety unfortunately, there's typically sandwiches, pizzas, burgers and chips available each day but no super healthy options; the rest of the food is cake and chocolate bars so I bring in pack lunches. I am over the moon to be considered for a guest blogger, I love trying new recipes and different foods, and I love to try and be healthy as well. 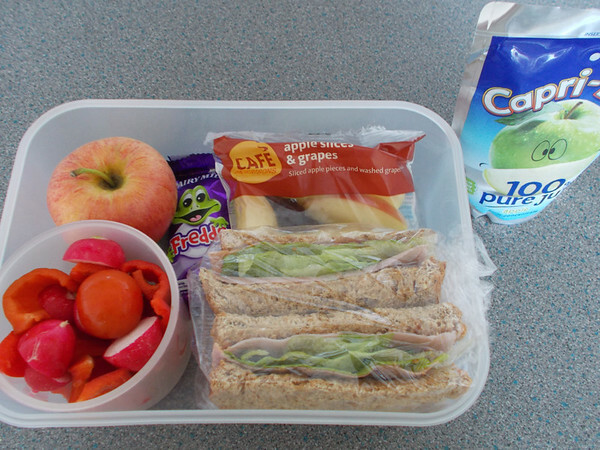 For lunch today had thick wholemeal granary bread with lettuce ham and Marmite on it; an apple and some grapes; a Fredo, a apple Caprisun (can you tell I like apples) and a little cup of veg (tomatoes, radish and sweet pepper). I also went to costa coffee after school and indulged in a soy milk cappuccino, yum! I'm not lactose intolerant or anything, I just like the soy milk taste. Mouthfuls- Can't remember I forgot to count! 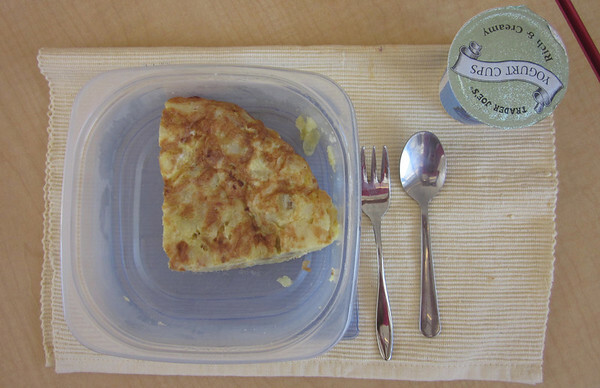 I'm an ICT teacher and some of my students did a small project about their lunches based on how people post their lunches on your blog. We are a very multicultural school, so lots of students from non-English speaking backgrounds. I have attached 12 of them for you to see. Maybe one might make it on to your Neverseconds Blog, the students are very excited to see. We love reading your blog and we are planning some fund raising for Mary's Meals in our Fourth Term. Like them all! Thank you, Veg. And I am a grade 4. And am 10 years old .My class is 3/4GH. My teachers are Miss Hazama and Miss Grimston. live in Victoria, Australia. 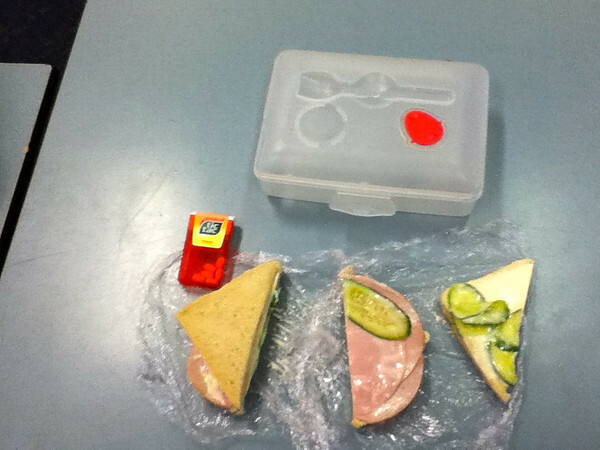 Foods ingredients: sandwich, cucumber, ham, and cheese and tic-tac. Hi my name is Sallam. I go to Footscray North Primary School. I am in 3/4DW. I have 2 teachers Mrs Dalaveris and Mrs Walker. 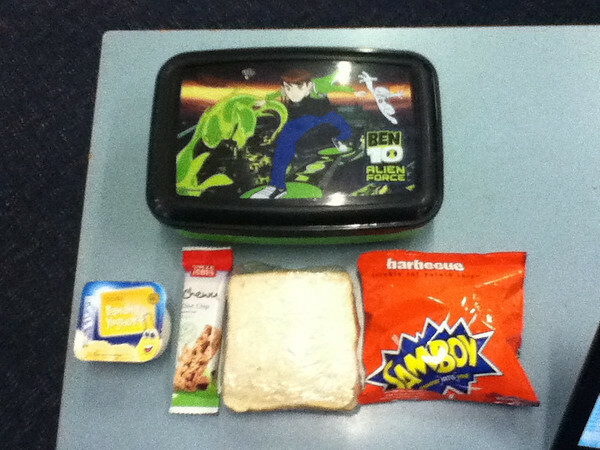 Today in my lunch I have chips, a sandwich with cheese and chicken, banana yoghurt and a muesli bar all in a box. Hi my name is Mekrie I go to a school called Footscray north primary school Melbourne victoria. 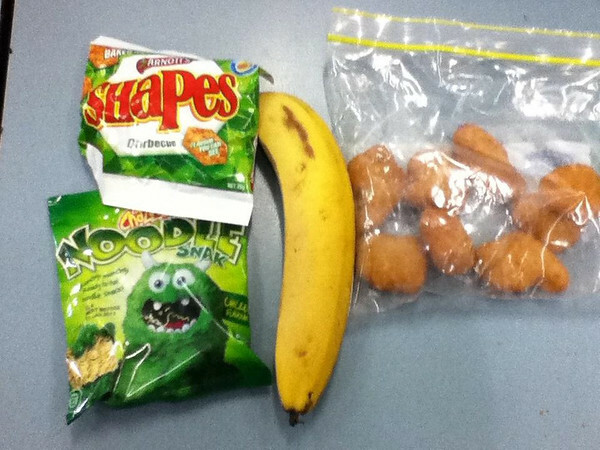 Today I am having shapes, noodles chicken nuggets and a banana. Thanks to the JAM classroom in New York it's been a mini world tour in a week! 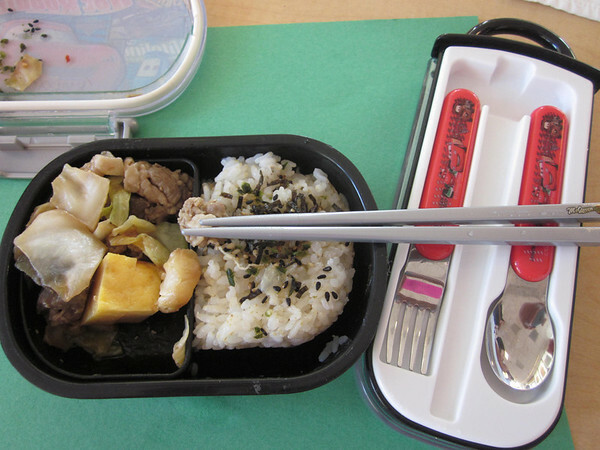 I have really enjoyed all the lunch boxes. I don't want to pick a favourite because they are all so good! 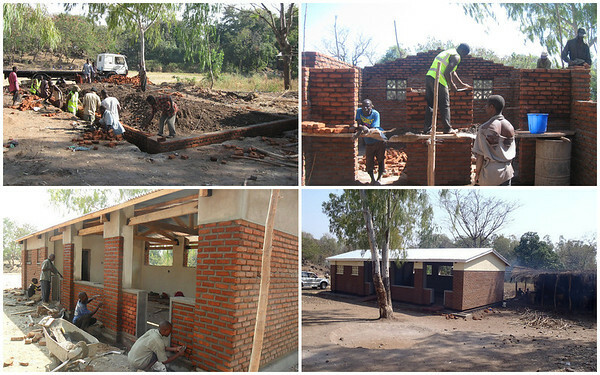 I have been talking to lots of people about going to Malawi. I'm talking a lot about it because I am excited about it. I have been told food on planes isn't very good but I hope they are wrong. I have never eaten a meal on a plane before. I don't think a plane has a kitchen it must be made on the ground and reheated in the air. I will rate my meals on the plane! It's amazing how the kitchen has improved from a little shelter with a thatched roof to a building with walls and a metal roof. The next picture you see of the Friends of NeverSeconds kitchen will have me in it. I will be there! I will tell them how it happened that a blog built a kitchen. I can't wait to meet all the children. I have packed some footballs and wind up torches. We don't have any Kwatcha for Malawi yet so we've no money. Dad says it's ok. Soon I start taking antimalarial tablets. I have to have 4 a day but my sister only has to have 1. It is because I am not quite an adult and not a small child either. If you have any African themed meals please send them in for next week to neverseconds@gmail.com along with any questions for Malawi! And our journey comes to an end……. Today, here, at our school we are celebrating the International Day of Peace. We will have a peace circle with our parents and teachers and we will talk about what makes us peaceful, about what peace means when we are alone, and what peace means when we engage with others. It will be fun! Well, for today’s lunches, we have, Sophia S., Anabelle and Camila. 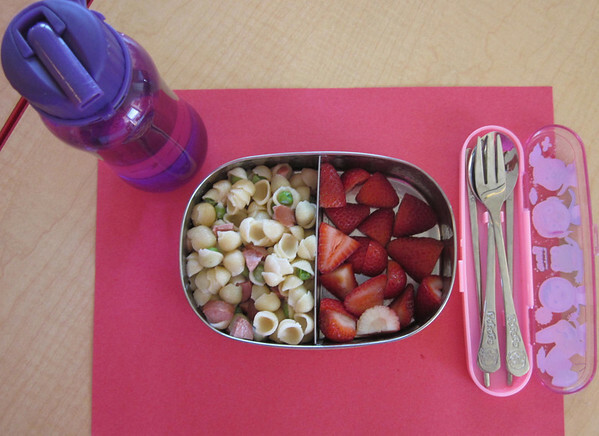 Anabelle has Macaroni and cheese today, with peas and turkey hot dog, and strawberries for dessert. This is a typical American dish. Her family shared a fun fact about this dish: July 14th is National Macaroni and Cheese Day and is also Anabelle’s Papa’s birthday! We will finish our week at NeverSeconds with Camila’s dish! 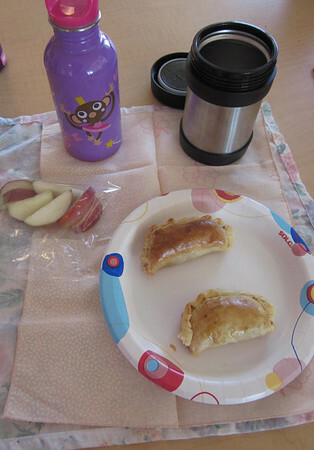 As you can see we come full circle – we saw empanadas on Monday, and that’s what Camila has for lunch today. 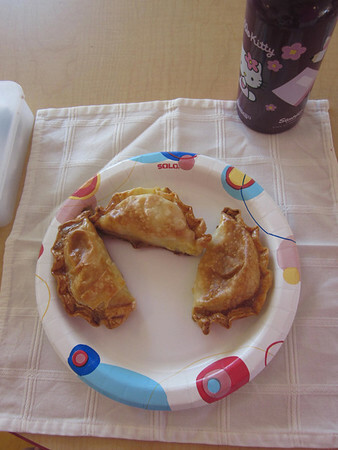 Camila’s mother sent some more information about empanadas: they were first made in Spain and Portugal. They were portable and filling meals for working people. They were carried to Latin America by Spanish and Portuguese colonists. Camila also has apples, as her treat. And so, from New York, we bid you all farewell! But Martha, NeverSeconds and Mary’s Meals will stay with us. Martha reminded us that you don’t need to grow up to change the world, you can start at any time! Julia Child would be proud! It is Thursday already; our week is coming to an end. Today we will see the lunches of Gabriel, Deviana, Amelia and Ezra. Gabriel is half Brazilian, like me. At times we speak briefly in Portuguese, followed by some giggles. It still amazes me, how the children can swap from one language to another in a moment. Well, back to his lunch! 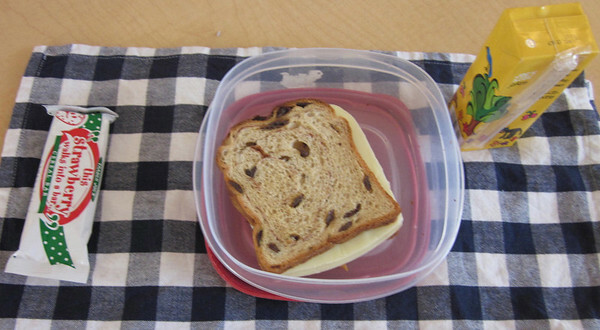 Today Gabriel had raisin bread with cheese, a strawberry cereal bar on the left and juice on the right. His mother said that Gabriel loves raisins. Deviana’s lunch was a novelty for us. She is from Sri Lanka and her mother was kind enough to share some information about today’s lunch. 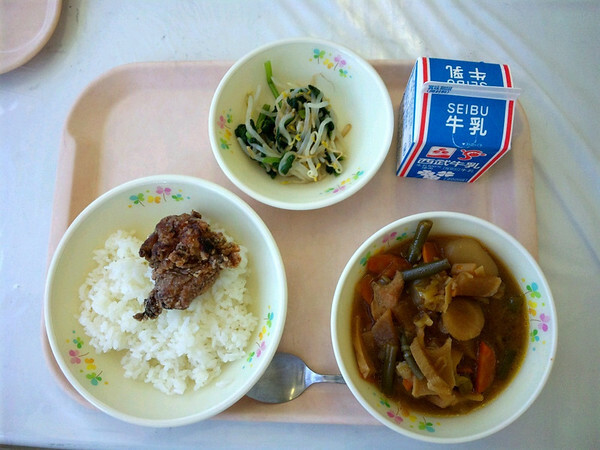 The lunch is called Kiribath (pronounced Kiri Buth in the Sinhalese language). Its translation is milk rice. It is a very traditional dish and is always served at celebratory occasions in Sri Lanka (from birthdays, christenings and key holidays to Christmas and the first day of school). 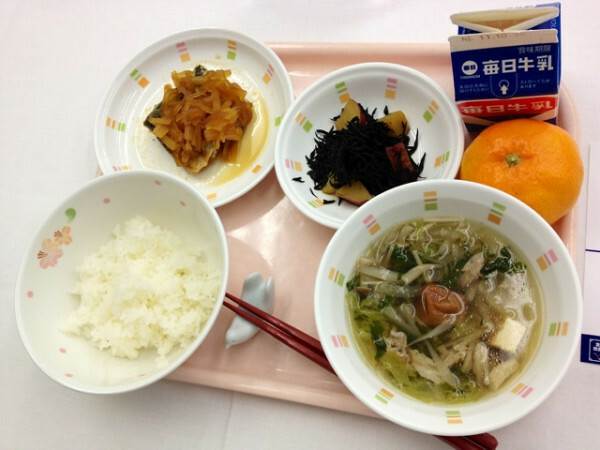 It is traditionally served for breakfast on the first day of every month. Deviana loves eating it because the rice is soft and creamy and the palm sugar is sweet! She also has two fruit choices. Tradition holds that, at the naming ceremony for Prince Gamini (who became the most famous king of Sri Lanka, 164 BC – 140 BC), Kiribath was served to the guests. 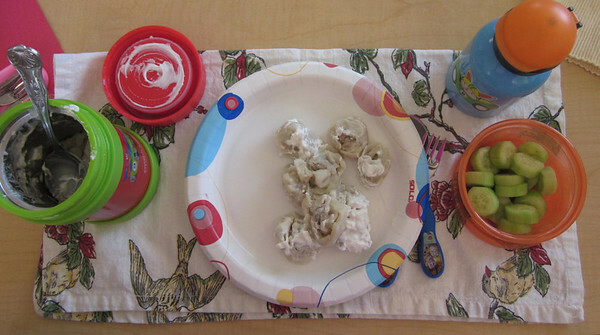 Amelia’s lunch would make Julia Child’s proud! Boeuf Bourguignon, a dish created in the Bourgogne province of France, her mother told us. It is a traditional French dish. The dish was created to be economical for average French citizens: it is made of easily-accessible and affordable ingredients. She also has a cheese stick, juice and blueberries. 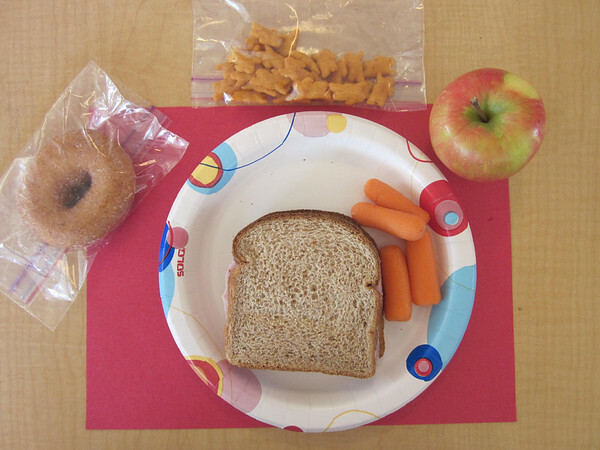 Ezra’s lunch today is a sandwich, carrots, apple, some cheddar cheese crackers and a doughnut. Ezra is half French and he was very eager to have the picture of his lunch taken. He wishes all a Bon Appétit! Eating with the mouth closed: apart from two little reminders we did great! Speaking with the mouth full: nearly there!!!! Food dropped or spilled on the floor: we forgot to look! How does lunch time work? We thought we should share how lunchtime works at our school. We go to the playground at 11:00, and when we get back at 11:30 we have our lunchtime (we are SO hungry by then!). We have lunch in our classroom, so we come in from the playground, we line up to wash our hands then we go to our cubbies to get our lunch boxes. We then choose where we want to sit and we set our place. We are encouraged to have the main meal first, then dessert, because it can be hard to eat the main meal after the sweetness of the dessert! If someone didn’t bring a drink we do have a water fountain in the classroom. After lunch we clean up our spot and we can rest a bit, looking at a book while our friends finish their lunch. 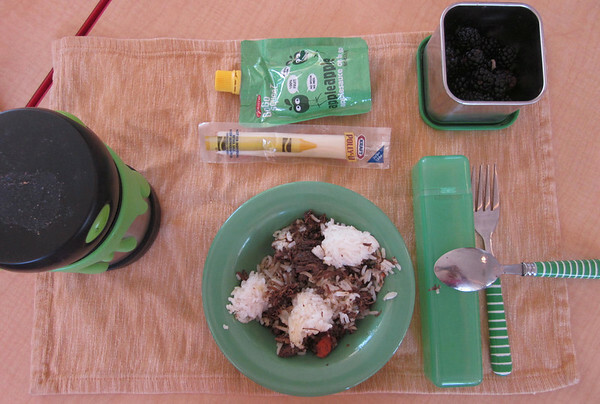 Max’s mother explained that she uses a special lunch box for his lunch, from a company called laptop lunches. 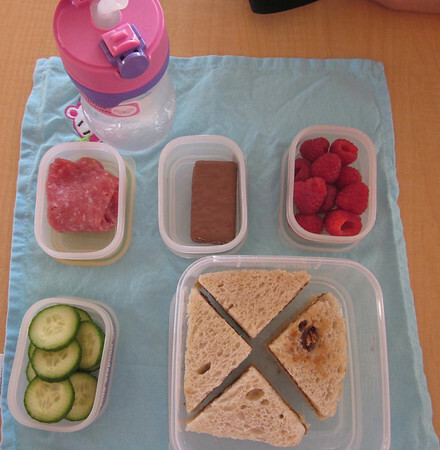 She alternates what is in the lunch box daily, but there is usually a salad and either a sandwich or cheese & crackers. 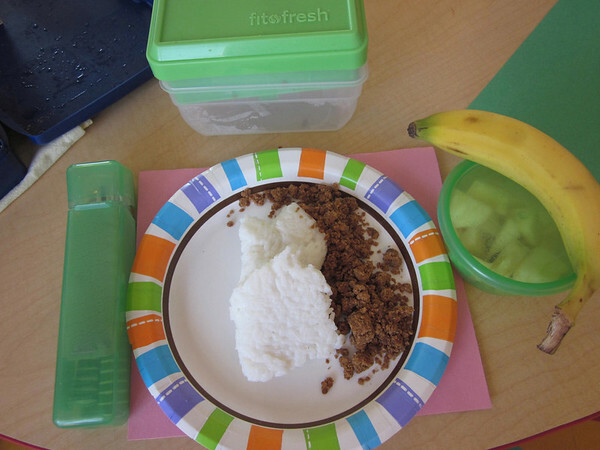 In addition there is always some fruit and occasionally a yogurt. Today, as you can see, he had fruit (blueberries, strawberries and raspberries), carrot sticks and the little pot with salad dressing (Max really likes homemade salad dressing! 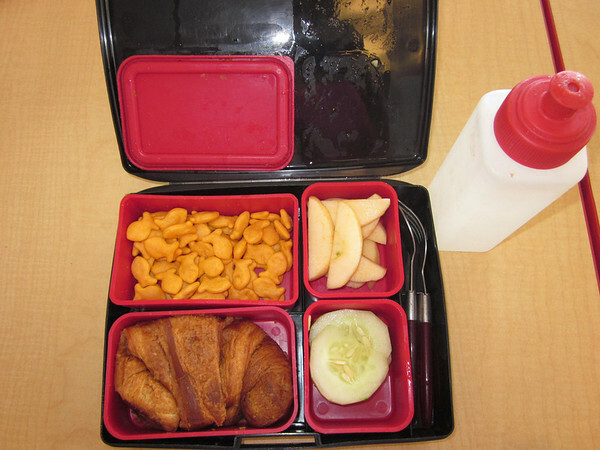 ), a hard-boiled egg and a Petit Ecolier cookie. Max also has an organic chocolate milk. 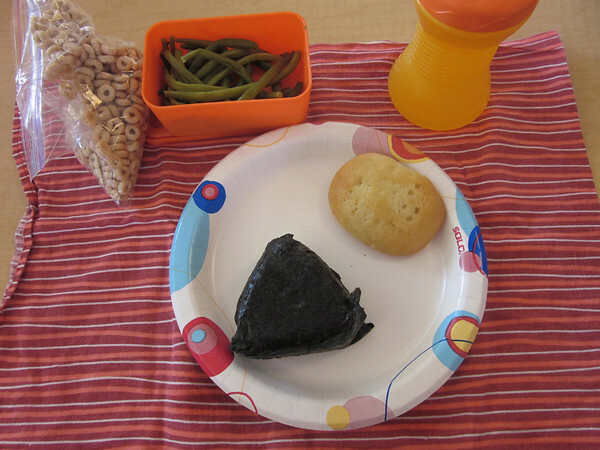 Marcos’s lunch is called Onigiri (rice ball); it is rice, seaweed, fish flakes and seasoning. 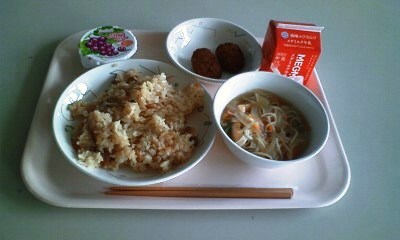 It is a traditional Japanese snack or “brown bag” lunch or picnic food. 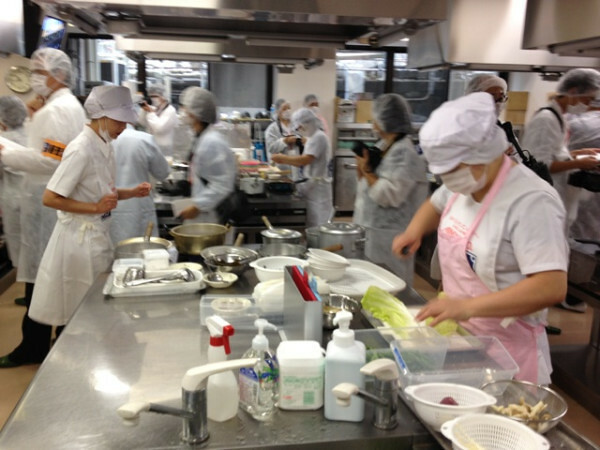 All Japanese children eat Onigiri, Marco’s father told us – and Marco clearly likes it! Many Onigiri have something in the middle – salmon, kelp, tuna, pickled plum, etc… Marco also has Cheerios (a brand of cereal), green beans and a cookie. 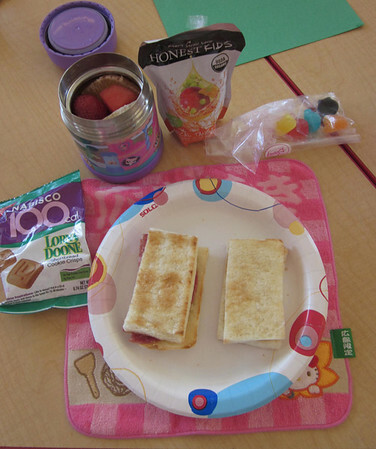 Sophia’s lunch. Today she has salmon patties from a green market near her house. She goes with her mother to buy salmon there. 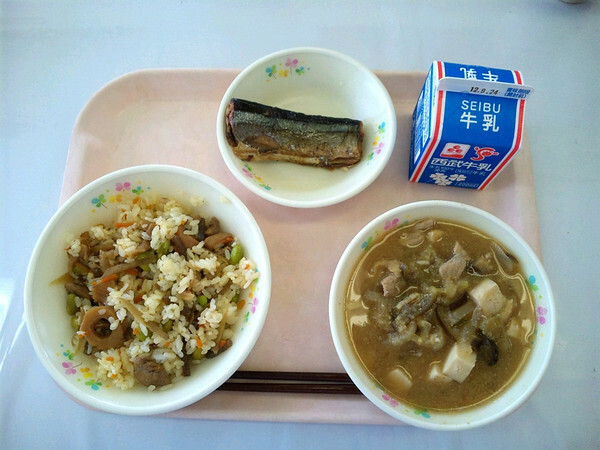 Her mother told us that, as she is Canadian, she marinates the salmon in soy sauce and maple syrup and then they bake the fish and mix it with breadcrumbs and seasoning to make the patties. 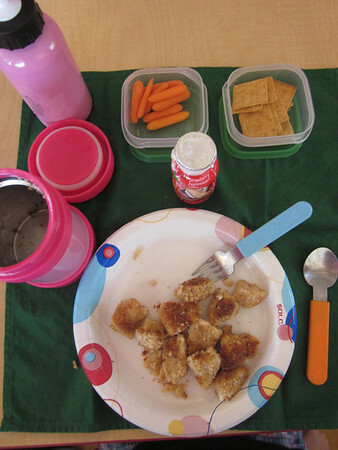 What makes this lunch really unique is that from beginning to end, it is made by Sophia and her mother, together. 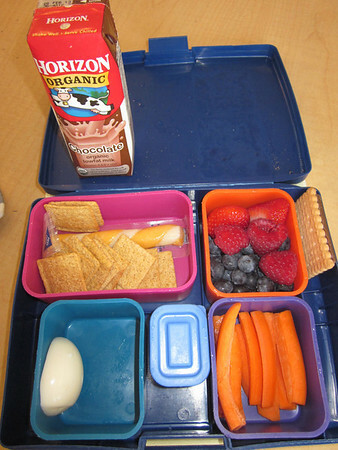 Sophia also has carrots, crackers and a yogurt. Speaking with the mouth full: we need to work on this some more! Thank you to Doni for the amazing blog posts you have written in the past week. I especially enjoyed the Kyushoku Koshien because I liked picking the winner! 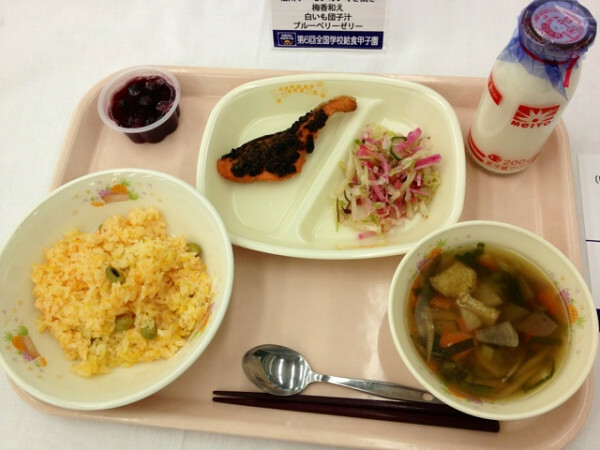 I have realised that Japanese school dinners have smaller portions but lots of different varieties. 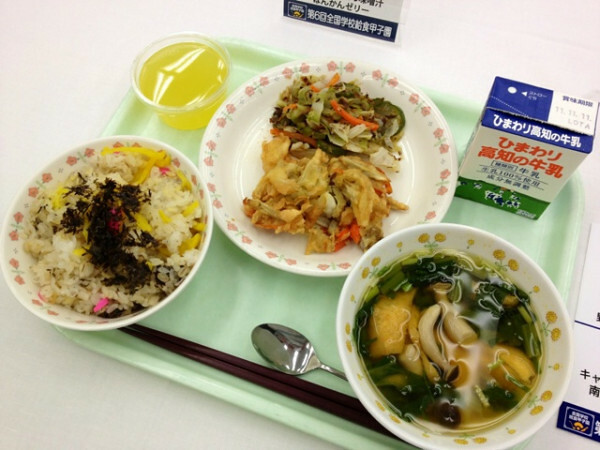 I like to taste new food without people telling what they are and I would like a week of Japanese dinners. Next week our guest bloggers are from the United Nations International School in New York. In my class we have Polish, French and Scottish pupils. 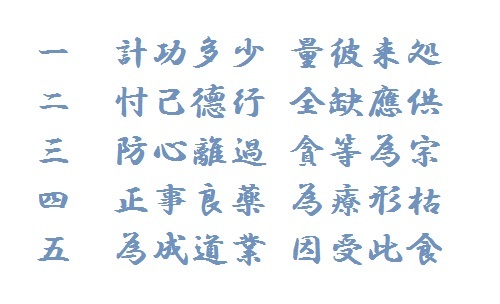 I wonder how many nationalities there will be in next week's class? 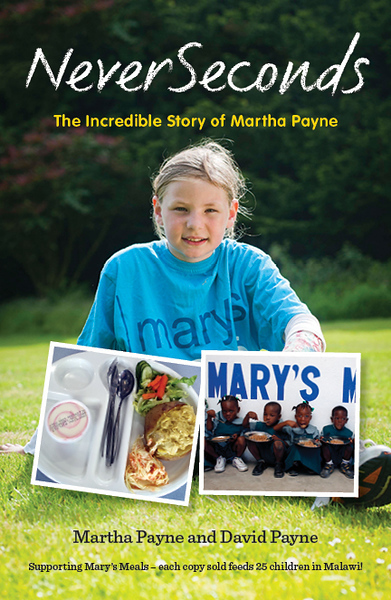 I have just seen Pavlova's fantastic £373 pounds go onto my Mary's Meals JustGiving page. That doesn't include the virtual lemonades she sold. 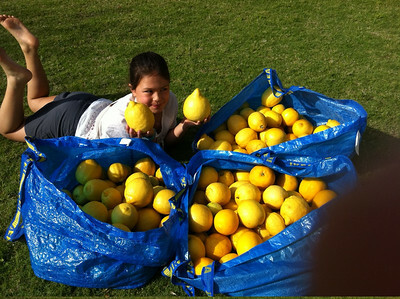 You have very generous friends who have shared their lemons with you and bought your lemonade. It must be a good recipe! Thank you to you and your friends. What you have done is amazing! It's been a big week for Mary's Meals because there is a new film coming called Child 31- The Story of Mary's Meals. On friday they released the trailer and I am going to the premier in Glasgow. It's great that all those children are going to school and not on the street. I think living on the streets means they have no home. 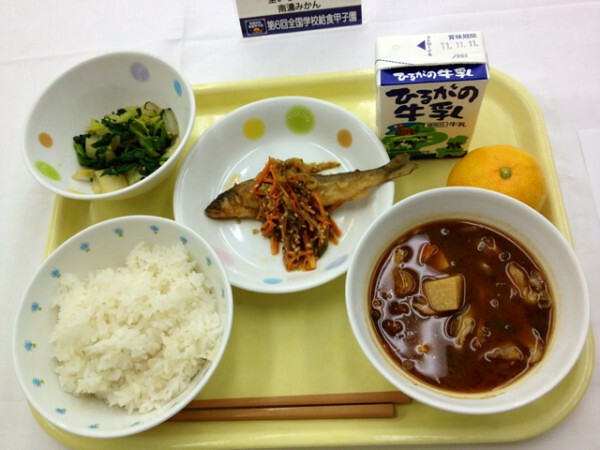 Katemeshi (Mixed Rice with Vegetable), Eggplant Soup with Sesame, Grilled Pacific Saury, and Milk. 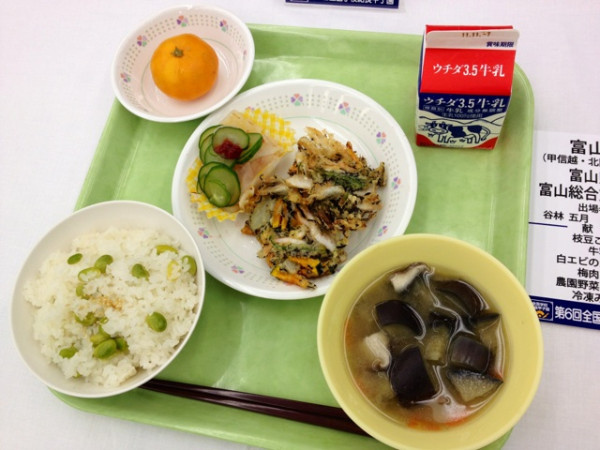 Rice, Satsuma-Jiru (Chicken Soup which is local dishes from Kagoshima region), Deep -fried Flying Fish, Simmered Konjak and Vegetable. and Milk. Oh. 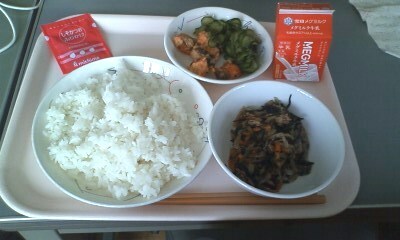 I got one more picture from another dietician..
Rice, Seasoning for rice, Simmered Striped Dried Radish and Hijiki seaweed, Fried Salmon with Cheese, Cucumber with Chili sauce, and Milk. Mustard Spinach is grown local. It is the final day for me to appear in NeverSecond blog. Therefore, today I would like to talk about giving thanks for our food. 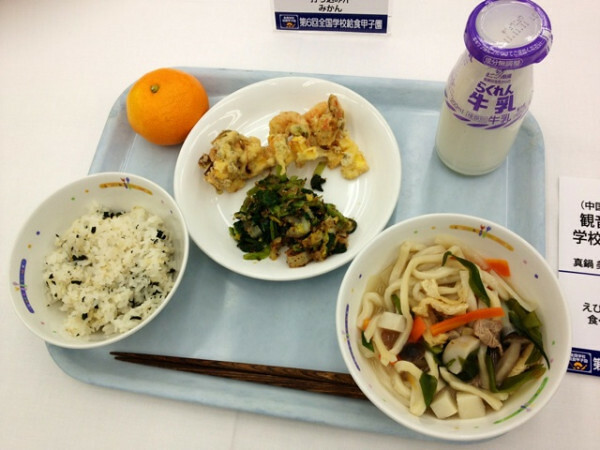 Before starting a meal at home and school , Japanese people say "Itadakimasu." 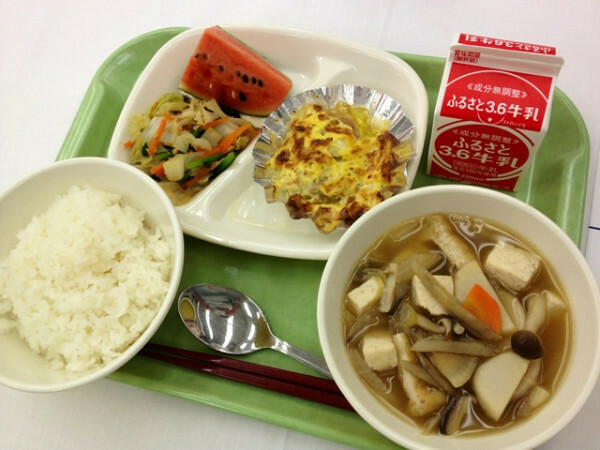 Although "Itadakimasu" is often translated into English as "God bless you," it contains an expression of gratitude for the person who cooked the meal, however it does not have any religious connotations. But I like to study comparative culture about giving thanks for food based on each belief in the world. 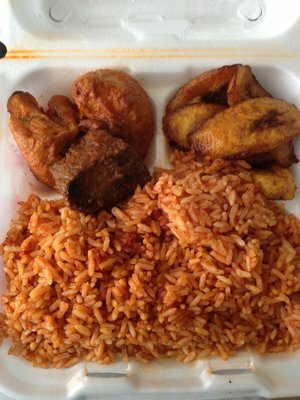 First, let us reflect on our own work and the effort of those who brought us this food. Second, let us be aware of the quality of our deeds as we receive this meal. Third, what is most essential is the practice of mindfulness, which helps us to transcend greed, anger and delusion. Fourth, we appreciate this food which sustains the good health of our body and mind. Fifth, in order to continue our practice for all beings we accept this offering. When I first heard the second term, I have reflected on what others have done for us. However, I have a question myself. What am I doing for others? Am I pulling our weight? Is this food being put to good use by sustaining me? It was heavy for me. Let’s see a few European painting. 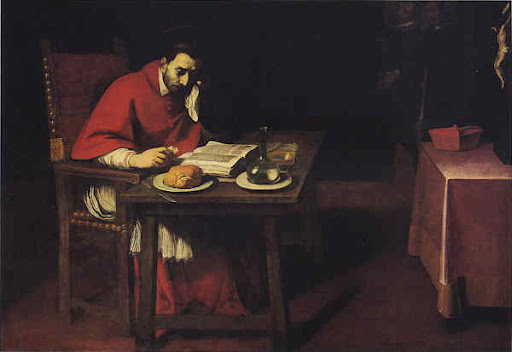 St. Carlo Borromeo devote himself to a life of poverty. He is reading the bible in tears. There is a “bread” and a bottle of water. But He does not pick it up. He is the paragon of believer. 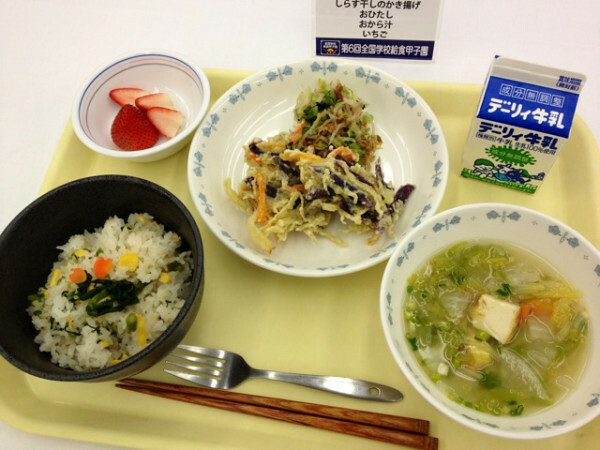 There are many masterpiece art featured meal in Europe. 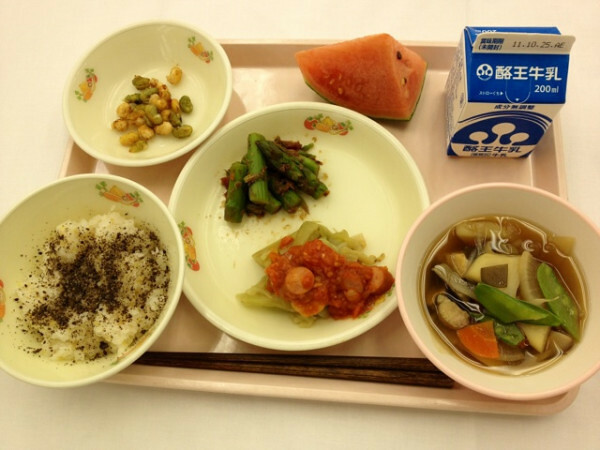 Because meals do not act only to satisfy the appetite simply, but also had a religious and spiritual meaning. On the other hand, there is a funny painting like this. 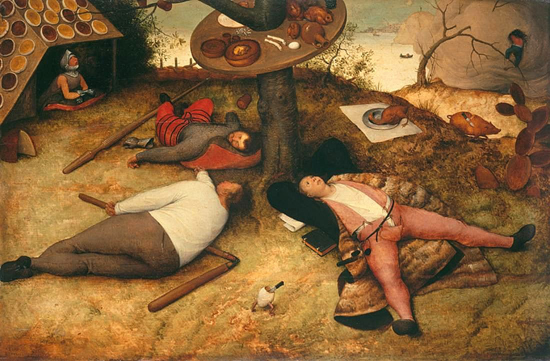 It is a very famous painting of Bruegel the Elder. You can see so many foods in this painting. I like to find allegory or meaning. Religious manner of diet is included also. 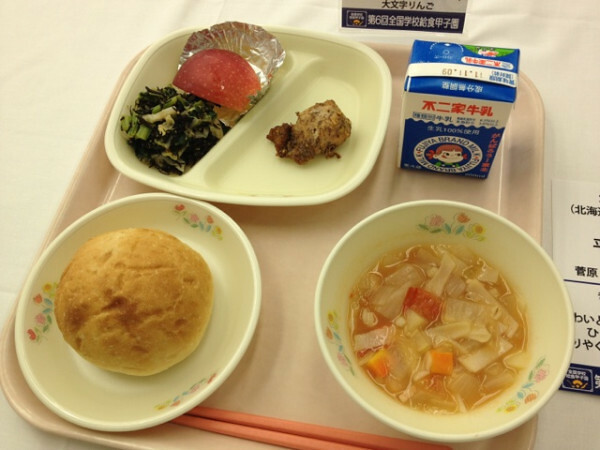 I think it is one of dietary education. The traditional faith of Japan is animism and nature worship. We can see a lot of agricultural rite. "Otaue" is one of the Rice Planting Festival of Shinto shline. It is an ancient event praying for a rich rice harvest. called a celebration in advance. 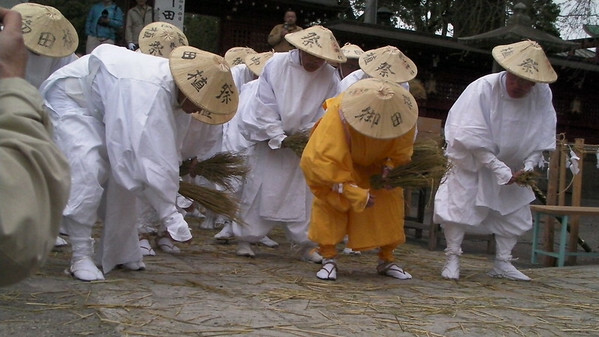 Farmer play a role of rice-planting in the precincts of shinto shrine. Another "Otaue" (rice planting) also organized by shinto shrines. 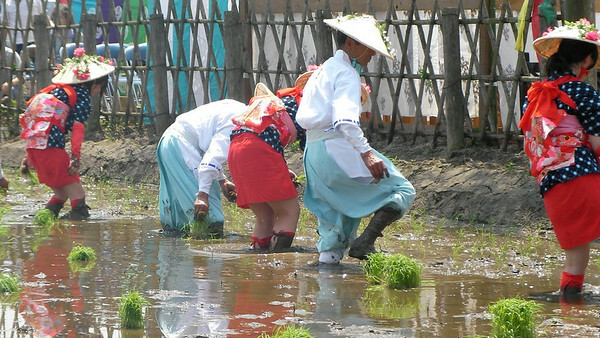 Saotome (rice‐planting girl) set out rice plants in the fields of a shrine. Tanokami (deity of rice fields and harvests) is a deity (Shinto religion) that Japanese agricultural people believe watches over a rich or poor harvest and brings about a bumper crop of rice. Because the Shinto religion was founded on beliefs in the deities of rice cropping, such as Tanokami, rice has been considered to be a most valuable food. Last month, I went to see a rainmaking ritual held on the once every four years when the Summer Olympics roll around. 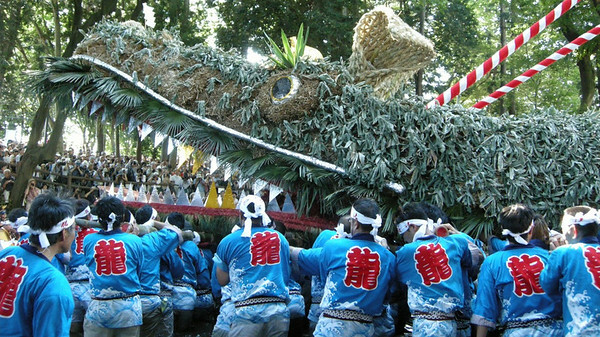 Three hundred men carry a 36-meter-long gigantic dragon that weighs 3 tons made of bamboo and straw, bravely parade the 2-kilometer-long road from a shrine in the district to a pond, and pray for rain and good harvest there. Actually said, I am taking part in the rice trust system every year. And harvest season has come. Our rice harvest is planned for September 23 on Sunday. 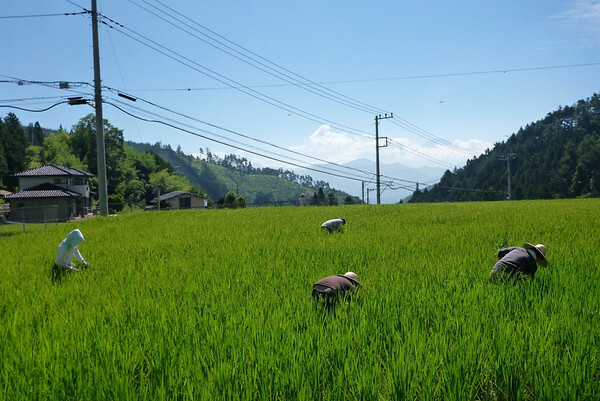 Rice cultivation in Japan requires farming villagers to cooperate in planting and harvesting during specific time frames. Now we are also inviting foreign participants for harvesting. If you are interested in rice harvesting, please tell me. You can see Mount Fujiyama, also from the rice field in Yamanashi. 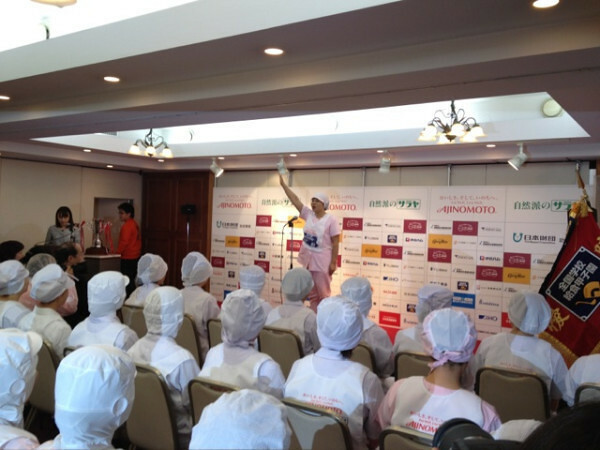 To thank the participants, each person will be given rice. 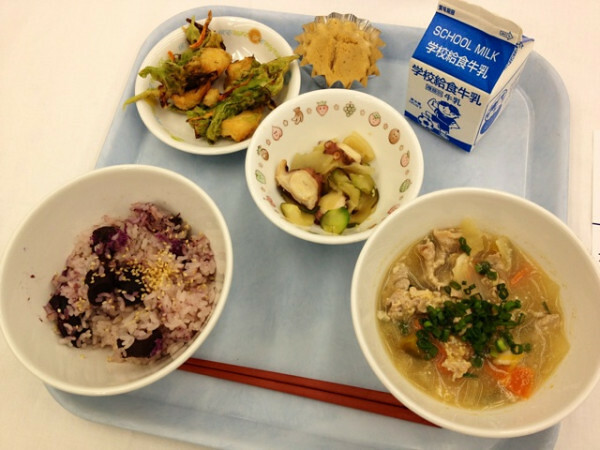 In this way, I savored the joy of harvest and food. 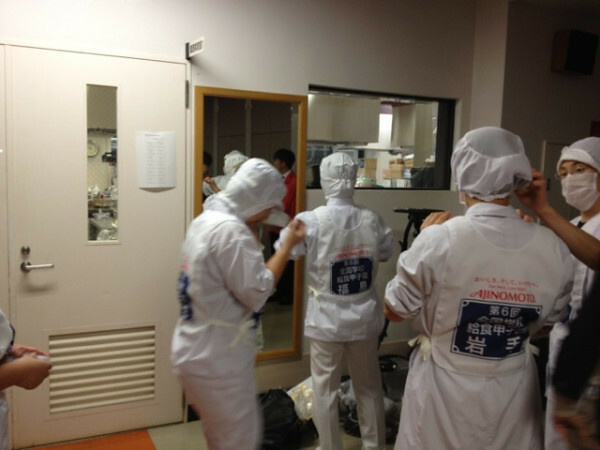 I reflect on our own work and the effort of those who brought us food. 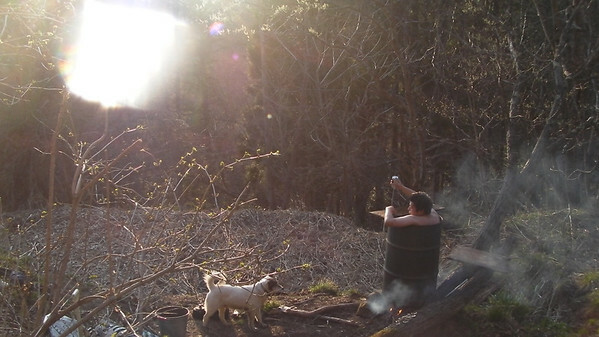 Outdoor drum bath is wonderful after farming. How do you do for reflection? Lastly, I have enjoyed talking with you and I really appreciate meeting wonderful people and having great experience here. Arigato gozaimashita. Oh. 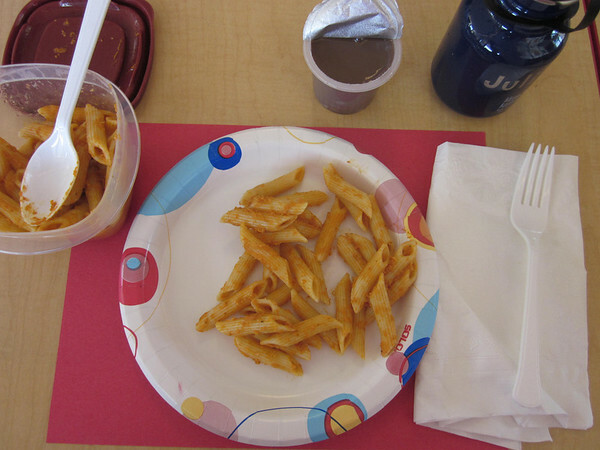 I got so many vote and comments for the school lunch contest in 2011. VEG, how do you know that!? 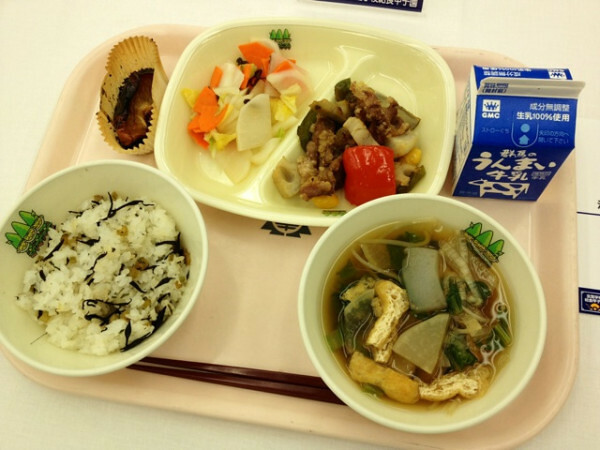 If the world championship of school lunch will be held, which would you like to do judge or contestant? Oh... Don't mention it again.